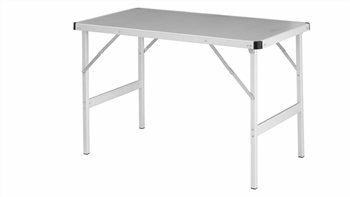 Good solid table,still fairly lightweight, easy to use, looks really durable, great price - what else do you want?? Table arrived in perfect condition due to the excellent packaging. Thankyou.